be aware of the primary sources utilized and how those sources are interpreted. explain the author’s argument to the best of their ability and in their own words. explain both the strengths and weaknesses of the interpretation to the best of their ability based on their understanding of the evidence and the relevant secondary sources. At no time are my students told to assess the authors themselves. As far as I am concerned it is irrelevant to the scope of the assignment. I can’t imagine one of my student doing so, but if they handed a review in that included references to “political correctness”, “revisionism”, or “liberal bias” I would immediately hand the paper back with a grade of Incomplete. It would get such a grade not because I agree or disagree, but because the student apparently does not understand what it means to evaluate a historical interpretation. I share this in light of the comments that I’ve read on this site and so many others in response to PBS’s recent documentary about Robert E. Lee. I find it funny that folks actually believe that such references convey any real significance when it comes to the strengths and weaknesses of the narrative as well as the commentary offered by the historians. It may come to a shock to some, but it is possible to disagree with one another when thinking about the past and doing history. There are legitimate disagreements that one can have over last night’s documentary. For example, one of the most common criticisms has to do with the postwar portrayal of Lee as well as the amount of attention given to Lee’s faith. That’s a legitimate criticism so make the point to the best of your ability. So, go ahead and give it a try. You know who you are. Next time you feel tempted to resort to such references take a step back and regroup. Take the necessary time to elaborate and explain your main points. Reference specific primary and secondary sources and try to engage in a serious discussion. Who knows, you may end up advancing the understanding of all parties. Shall I tell you about the time I submitted a passport application for my daughter and misspelled her name? The State Department has no sense of humor. I understand your point here….but you can not discount the impact of political correctness Kevin. Inclusiveness is very important in studying history, to get the true story and all facts from the various stake holders and participants. BUT when I see an African American historian on a Lee documentary, who really has no Lee “experience” so to speak, the first thing that comes to mind is political correctness. I agree that this term is OVER used and used as a crutch by many, but I also believe that at times it has credible application. There are many NPS historians, who are African American, that have worked in the field studying Lee and his life they could have used. 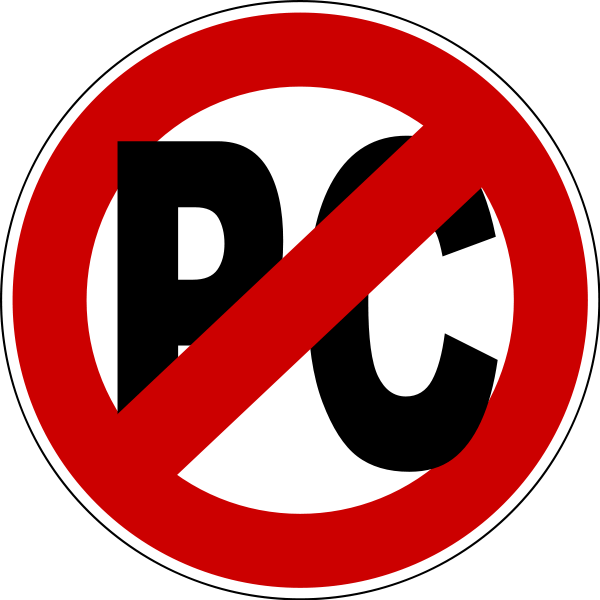 Ignoring the times where “PC” might apply is just as bad as overusing it. Anyways, keep up the good dialogue. You said: “BUT when I see an African American historian on a Lee documentary, who really has no Lee “experience” so to speak, the first thing that comes to mind is political correctness.” I really don’t know what to make of this comment. Was Groom’s inclusion a reflection of political correctness? Jordan’s points were much more interesting and on target. When you use “PC” in this context all it sounds like to me is that you don’t know why Jordan was included. Now, you could go ahead and try to find out or you can rely on vacuous references. Let me give it a shot. Jordan is an archivist here in Charlottesville at the University of Virginia with a specialization in Civil War history. Perhaps the producers traveled to UVA to look at related documents in Special Collections. In that case, Jordan would have more than likely handled this visit. In the course of their discussions they decided that it would be worth including him as a commentator. If your thesis is correct, then the producers’ decision to include Jordan was an extremely poor one. While Jordan is the regarded expert on the African-American experience in Civil War-era Virginia, he has little to no published record of studying Lee, especially when compared to Pryor, Thomas, or even Freeman. Why include an archivest when there’s no commentary from any staff from a site associated with Lee (Alrington House). Let’s get something straight here. I am not arguing that you can’t criticize the choice of commentators. You make an excellent point. All I am suggesting is that references to “political correctness” tell us nothing about why Jordan was chosen. If someone is really interested in their choices I recommend contacting the producers. Anything else is pure speculation. I agree. Ken Burns wanted one of my profs to be in “The Civil War,” but he turned him down because he didn’t want to drive all the way to Chicago. On the other hand, I once appeared in a battle video because I happened to be at the park giving a talk when they were filming it. Any number of variables can determine who shows up in these productions, or doesn’t. Off topic, Kevin, I’m struggling with these thick black borders around the comments. You’ve replicated Civil War era mourning stationery! I feel like I should be expressing condolences. I am trying to minimize the border effect a bit, but I thought it might help to better follow individual threads. I like the breaking apart of the threads — it helps. Maybe if you could just change the color to a mid-gray. I am going to work on it later today. I think that an assessment of the authors’ background is relevant. You like to assume that all professionally trained historians are unbiased. That’s just not the case as no one can be completely unbiased in their examination of the particular subject matter. The location of where one was raised, one’s socio-economic status, the school that one attended, the professor that one studied under, and where one works all influence an individuals out-look on the world. While most professionally trained historians are taught to minimize those biases as much as possible, they will always remain. Some sources then will be given more weight than others because of the view-point of the historian. To critically analyze a historian’s thesis, the inclusion of his /her personal background is necessary to understand why some sources were favored over others. I don’t disagree with you. I am not asking Peter Novick to rewrite “That Noble Dream.” However, for the purposes of a formal review I want my students to stick to the content of the argument. We are influenced by certain biases. I rarely see references to personal backgrounds in the JSH, AHA, or JAH. How can you write “At no time are my students told to assess the authors themselves. As far as I am concerned it is irrelevant to the scope of the assignment”? You don’t think that the author’s background – socioeconomic, education, influences, etc. colors what their view of the world? You’ve just dismissed the whole concept of Historiography. Of course one can make assumptions. For example, take a glance at the list of posts next to this entry. “The Future of the Confederate Flag” “Patrick Cleburne and Black Confederates” (you can’t get enough of this topic), Nat Turner, debunking the Richard Kirkland story. Can I not go ahead and make the assumption that you are not a member of the Republican Tea Party Movement? That you are not from the South (which don’t tell us doesn’t influence your views)? That you are infatuated with race and attacking all things associated with the Confederacy? I admire you in a lot of ways. You take on hard topics and you post comments that you don’t agree with at times. But “historical interpretation” is suppose to be balanced. Frankly, I don’t see any posts on Grant and the Jews, Sherman’s view toward blacks, Lincoln’s study of what to do with recently emancipated slaves – if he would have lived longer, what would his legacy have been? I hope those kids are truly coming to their own conclusions, with pros and cons of both sides, if not, that’s not history. Thanks for the comment. You obviously didn’t read the last comment. Of course, I agree that our personal backgrounds do influence our choices. That’s not the issue. I want my students to be able to properly analyze an argument and learn to make their own. Why is that so difficult to grasp? There are a whole host of topics that you will not find on this blog. Much of what I write about relates to ongoing research projects as well as my activities in the classroom. I hope that helps. You can go ahead and spend all the time in the world trying to pinpoint what motivates me; however, I am not sure what that is going to get you in the end. Good luck. I have heard some things about your upcoming book on the Crater. Can you possibly start a post on here that focuses on some issues you will be touching on? I know the battle well and like to hear your take on some of the aspects. I’ve written extensively on this blog about my research on the Crater. The easiest way to access content on the blog is to search via category: http://cwmemory.com/category/william-mahonebattle-of-the-crater/ Click on the link for my Resume in the navigation menu for my published articles, journal essays, and book chapter. I’m not sure I follow you. If I don’t know something about the author, how can I find something in his background that will allow me to dismiss his arguments without the bother of engaging them? I must say that I’m far more fond of history than I am of historians. I was going to post a witty comment when I saw my name on another post. I hope it wasn’t posted by me while in sort of fugue state, but a by name-sharer. Whatever, it broke my train of thought. To paraphrase my original “brilliant” thought, it seems to me your assignment can be used to help students understand how their own personal biases affect their research and writing. Trying to bury the inherent biases we’ve developed over the course of our lives is a difficult, if not impossible task. But when studying, researching and writing history, it’s vital to be as evenhanded as possible, offering to show both sides of the coin with respect and integrity. I find this quite distasteful. I’m sure you can get away with this condescending tone when teaching teenagers in high school. But, frankly, one would expect a little more respect in a forum whose target audience (also) includes grown-ups. I think it’s a very noble idea to argue that labels and generalizations about historians and modes of historical thought are nothing more than red herrings, and they have no place in a serious discussion of history. Yes, ideally, each historical fact, event and issue could and should be evaluated on its own merits, etc. Oversimplifications such as “politically correct”, “neo-Confederate”, “Lost Cause”, “liberal”, “pro-Union” should not influence the debate. But I think we both know this is only partly feasible. More general observations and conclusions will inevitably follow, both about historians and modes of historical thought. Personally, I think that’s part and parcel of ‘doing history.’ It seems quite a few people on this forum seem to think so as well. At the very least, afford your detractors the same level of respect you would expect to receive. I’m sorry that you’ve taken offense to those last few sentences. I couldn’t agree more with this observation. Intelligent people will inevitably disagree with one another and that is a good thing. Ultimately, we can learn from one another. Thanks for taking the time to comment.